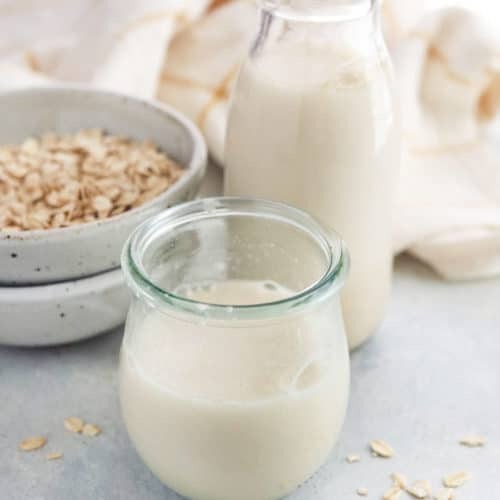 Here's HOW TO MAKE OAT MILK at home, using just a handful of ingredients. This dairy-free milk can be used for coffee, cereal and smoothies. Add the water and date, if using, to a high-speed blender and blend until the dates are broken down. (Blending them first ensures you won't over blend the oats later.) Add in the oats and blend again until the oats have broken down and the liquid looks creamy, about 20 to 30 seconds. Use the milk right away, or store it in an airtight container in the fridge for up to 4 days.